You are welcome to park in the back parking lot behind the dojo and also along side our building. Please DO NOT park in the designated “Sensei” (teacher) parking space. Also, please DO NOT park in the lot behind the building next door or along side that building. There is ample parking on the side streets around the dojo. Parents that park on the side streets should walk their children to the dojo to ensure that they arrive safely. Drive Slowly in the Parking Lot! Safety is a must! Please drive very slow in the parking lot! If you’re running late, please drive slow and think pedestrian traffic in the parking lot. We have very young children going to and from the dojo—entering and exiting from both the front and back of the dojo—so please be on the lookout and, again, drive slow! Due to the close nature of our training, if a student is sneezing, coughing, or has a runny nose, we ask that they do not participate in practice. Please read the medical release form carefully and fill it out as necessary. It is essential for the health of all of our students and instructors that all medical conditions including blood-born diseases are fully disclosed. as well. Please DO NOT leave shoes outside the dojo or at the top of the stairs. Your partner is not your opponent. Techniques are learned together with your partner. Each movement in the martial arts teaches the principles and spirit of the art and should be practiced sincerely. Please be mindful and maintain a quiet atmosphere in the dojo (in the training area and throughout the entire building) so that students can concentrate. Parents should refrain from “teaching” from the sidelines or otherwise distracting their children during class time. We reserve the right to enforce this rule at any time, so please respect this rule. Please turn off cell phone ringers in the dojo and respectfully take or place calls outside of the training area. Techniques taught at the dojo could cause injury if practiced without the supervision of a trained instructor. Please use good judgement if practice is done at home. 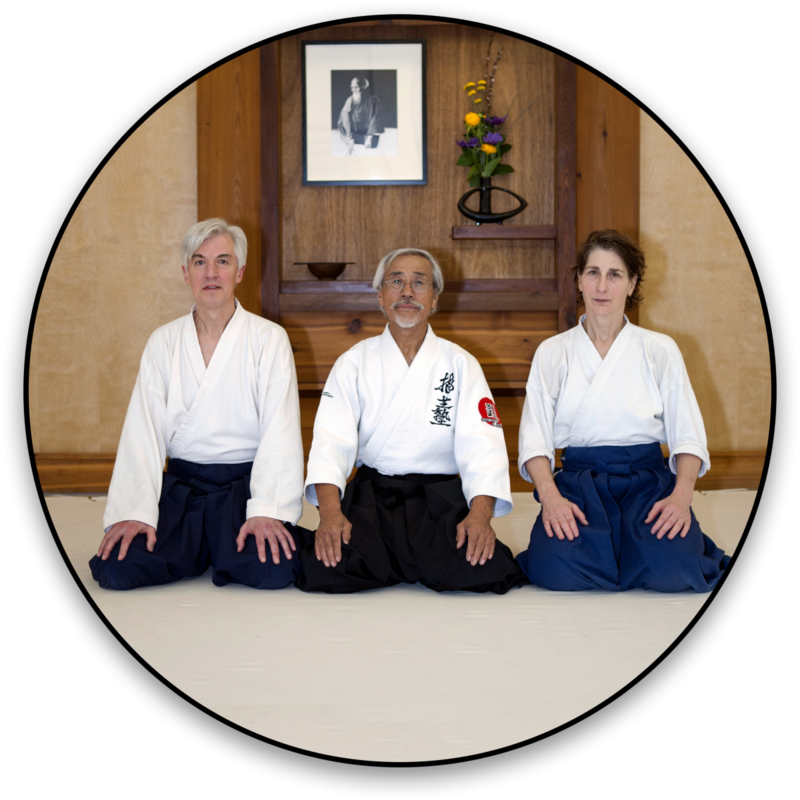 Each and every student at Aikido of Madison is a representative of our dojo. Students should conduct themselves in the utmost most positive manner at all times, in every aspect of their day—at work, at school, at home, and in the general public. Martial artists do not use their skills offensively. At all times, work to avoid verbal and physical confrontation rather than engage in hostilities. This is the mark of a true martial artist! • Don’t lie down on the mat. • Don’t lean against the wall during training. • Don’t sit with legs outstretched or slouch during training. • Don’t wear jewelry during training. • Don’t chew gum at the dojo. • Don’t have long fingernails or toenails. • Don’t wear dirty or torn uniforms. • Don’t enter or leave the mat without permission from an instructor unless there is an emergency. • Don’t touch any practice weapon unless told to do so by an instructor. Enjoy your training! Marital arts are a wonderful way to stay fit, reduce stress and lift your spirits. Train with an open mind and a light heart. Remember, martial arts classes are the fun part of the day!